Manufactured in Russia with current production steel cases. 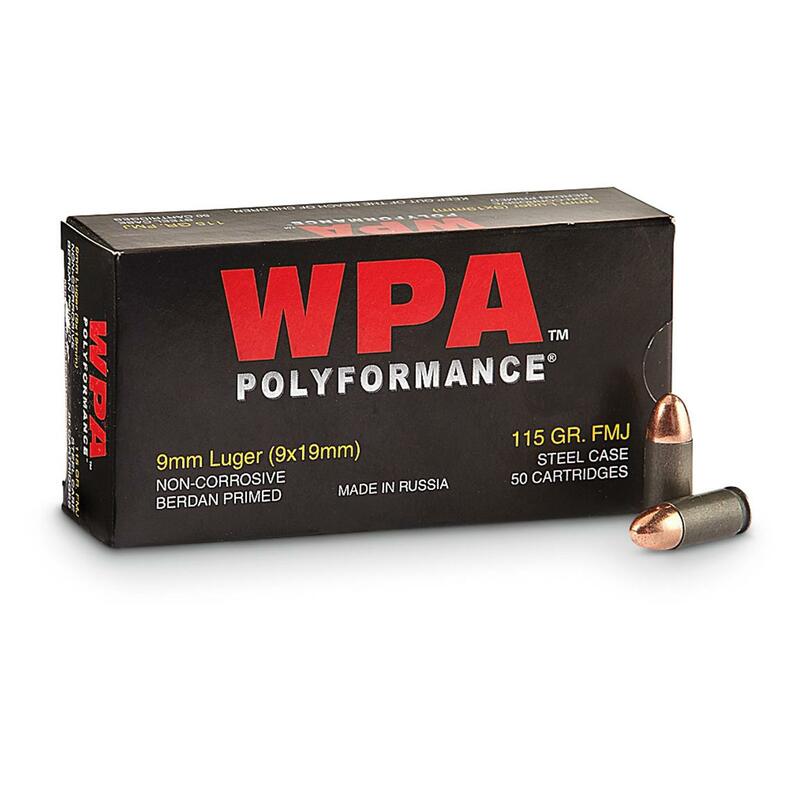 Since its inception, Wolf WPA Polyformance has been the leader in top-quality ammo at an affordable price. Each round features Wolf's Polyformance coating that ensures reliable feeding and extraction. Bullets feature a lead core and copper-plated steel jacket. Wolf WPA Polyformance, 9mm, FMJ, 115 Grain, 500 Rounds is rated 4.7 out of 5 by 121. Rated 5 out of 5 by Dave from Cheap Bang! When I’m looking for a cheap bullet, Wolf is where I usually end up. I have fired many many rounds out of 3 different pistols. All of them go bang. Excally what I’m looking for. They seem to be clean as well. 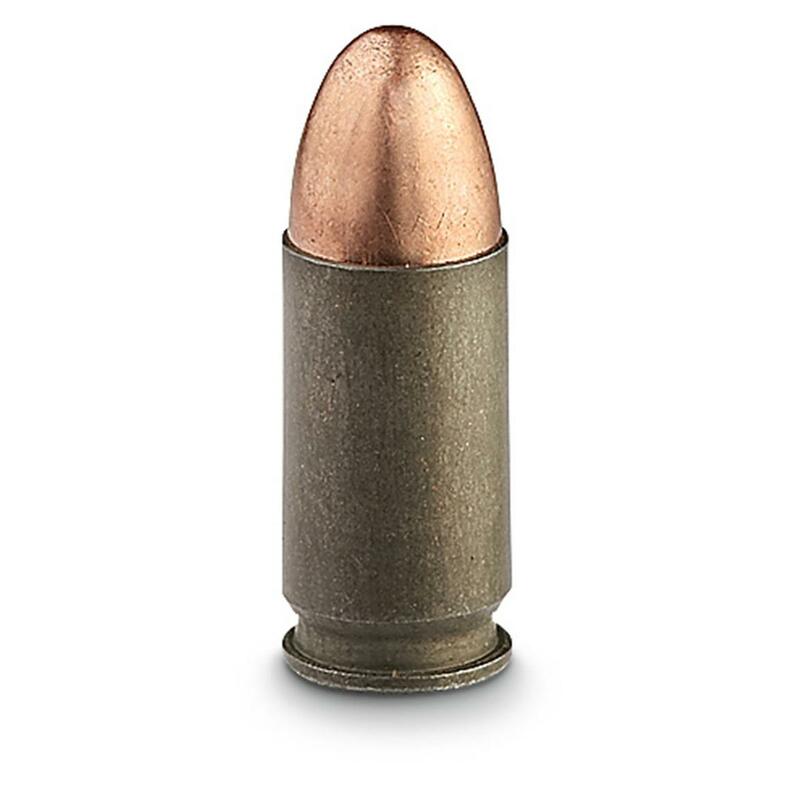 Rated 4 out of 5 by Tjlis2004 from Cheap ammo at a great price This ammo is cheap range ammo. I bought 1000 rounds and so far have shot 400 of them with no issues. The ammo for pistol shooting is accurate enough that I couldn't tell any difference between it and other ammo I've bought. The ammo is very dirty so be prepared to clean your gun more often than normal. I mostly shot mine out of my VP9. After 150 rounds the barrel took a lot of runs with a bore brush and a lot of patches to become clean. More so then with other factory loads and reloads that I have used. For this I'm taking 1 star off. When loading the mags for the VP9 I could tell I wasn't loading brass as the rounds were not as easy to slide in. Even using an UpLula the rounds were rougher feeling and sounding when loading mags. I did try to shoot this out of my Kimber Micro 9. The Micro 9 had feeding issues and did not like this ammo. Micro guns have very tight tolerances and have been known to be picky on ammo, so I won't ding the ammo on this as I believe it was the gun that was the issue. Overall I'm happy with the purchase of this ammo. Rated 4 out of 5 by Todd from Good price for shooting at the range Good ammo for the price, the only complaint is it’s dirty! Rated 5 out of 5 by Orlando from Fired 300 rds for plinking no problems,clean barrel afterwards. Rated 5 out of 5 by Bill M from Work Great Used them in my Sig P320, Springfield XDM, and Smith and Wesson MP2. No jams or failure to fire. Would certainly by again at that price. Rated 5 out of 5 by mrg2 from Great for the range For inexpensive ammo these work well at the range, have used in several pistols with no problems. Rated 5 out of 5 by Dennis from Tremendous practice/training ammo at a great price! For practice and training the idea is to put a lot of ammo on target and if its affordable then you can......this ammo is both affordable and perfect for target and training activities. For the gentleman that stated he wouldnt use it in his "Walther or Sig" pistols then he must not have much confidence in those euro trash pistols as it causes NO harm, works perfectly and is as consistent as any American made training ammo that costs a LOT more.